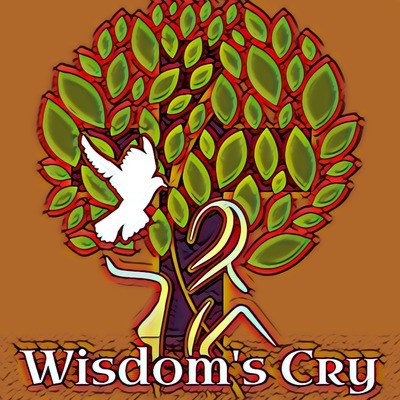 Join the search for the voice of Wisdom through compassion, living God, and the four paths of Creation Spirituality. Through our love of Christ Jesus, we seek to bring sight to the blind, hearing to the deaf, and freedom to the captives, as we proclaim the acceptable year of the Lord. God loves us all, no matter our race, creed, sexual orientation, or gender identity. Charlie discusses how our spiritual practices can rebound on us and have an apparent negative effect. Charlie discusses God and the topic of Favoritism. Charlie discusses mindful action and learning to water your the right seeds in your soul's garden. Charlie concludes our discussion of The Prophet by Kahlil Gibran. Charlie continues our discussion of The Prophet by Kahlil Gibran with the chapters on Beauty, Religion, and Death. Charlie continues our study of The Prophet by Kahlil Gibran picking up with the chapter on Pleasure. Charlie continues our discussion of The Prophet by Kahlil Gibran picking up with the chapter on Prayer. Charlie continues our discussion of The Prophet by Kahlil Gibran with the chapters on Pain, Self-knowledge, and Teaching. Charlie continues our discussion of The Prophet by Kahlil Gibran picking up with the chapter on Reason and Passion. Charlie continues our discussion of The Prophet by Kahlil Gibran focusing on the chapters on Laws and Freedom. Charlie continues our discussion of The Prophet by Kahlil Gibran focusing on the chapter on Crime and Punishment. Charlie continues our discussion of The Prophet by Kahlil Gibran with the chapters on Clothes and Markets. Charlie continues our discussion of The Prophet by Kahlil Gibran with the chapter on Joy and Sorrow. Charlie continues the discussion of The Prophet by Kahlil Gibran with the chapter on Work. Charlie continues out discussion of The Prophet by Kahlil Gibran with the chapter on Eating and Drinking. Charlie continues our discussion on The Prophet by Kahlil Gibran with the chapter On Giving. Charlie continues our discussion of The Prophet by Kahlil Gibran with the chapters on Marriage and Children. Charlie continues our discussion of The Prophet by Kahlil Gibran with a focus on the Chapter on Love. Charlie begins our discussion of The Prophet by Kahlil Gibran. Charlie concludes our study of the Apostles Creed focusing on the World to Come and the nature of Eternal Life. Charlie continues our discussion of the Apostles Creed with a focus on The Forgiveness of Sins. Topics include the nature of sin, forgiveness, repentance, and love. Charlie continues our Discussion of the Apostles Creed by looking at the phrase, The Communion of Saints, also talking about devotion to the Saints and Angels. Charlie continues our discussion of the Apostles Creed with a focus on the phrase "I believe in the Holy Catholic Church." What does the word catholic mean? What is the Church? Charlie continues our study of the Apostles Creed with a focus on The Holy Spirit, then how to learn to hear her voice. 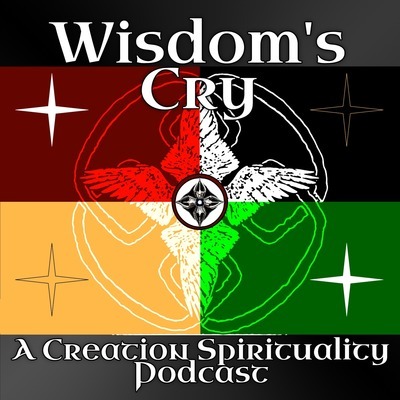 Charlie continues our discussion of the Apostles Creed with a focus on The Ascension and what does it mean to judge the living and the dead. Charlie continues our study of the Apostles Creed with a discussion of the death, burial, and resurrection of Jesus Christ. Charlie continues our study of the Apostles Creed. Charlie continues discussing the Apostles Creed. Charlie responds to Jesse Lee Peterson saying that the Apostle's Creed is "Not a Christian thing." Then discusses the creed. How do we find time to savor our lives in the hectic world? What does it mean to live? Are we all just searching for the experience of being alive? I tackle these questions and more on today's episode. If not one letter or pen mark shall pass from the law until all is accomplished, why aren't Christians under the Law of Moses? Let's discuss the being a preservative force in the world and being a light that brings compassion and judgement into the world. Plus, I share the Buddha Light Practice. Today we go through the Beatitudes from the Sermon on the Mount with a focus on how they are a guide for life. Let's do an exercise to find out what yours is. Some people only think about or mention God when they need help or someone to blame. A life of faith is one where we live God to the best of our ability every day. The purpose of our faith is to reconcile people to God through compassion and justice. All of the rhetoric about "the other" is not only unhelpful, but is against the faith taught to us by Jesus Christ. We are meant to be peacemakers. Beware of anyone who claims to speak for God and who doesn't strive to embody the beatitudes. The qualities of compassion we can use to bring peace. Everything you do is prayer, and here are three ways to improve your prayers. The importance of practice in life. How do we know that we know anything? The first function of myth reconciles our consciousness with the mystery of the world. The power of any story is in what it is really trying to say and not just what it says on face value. Acting for Mary changes us, and that changes the world. Mary molds us in the image of her Son, just as she teaches us to struggle in faith until Jesus is born through us. Mary teaches us proper love for God and all creation. An exploration of the grace available to us in the Lord's Supper. The Sacred Heart of Jesus is a free gift, conceived within all believers when we first come to faith. As we mature in the way, we are conformed into the image of Christ. What does the Sacrifice of Christ mean to us today? How can we partake of the grace of this singular moment? Jesus is the Wisdom of God who plays and dances through creation will calling all things to himself for the perfection of the cosmos. The Jesus you have heard about is probably not the Jesus of the Gospels. Jesus is the Gate of the Kingdom, and he can fill your heart and your life. A study on the Way of Silence and the art of letting go and letting be.